A wonderful party accessory to impress your guests. Simply place your order, then email through your requirements to info@bumblebeecreations.ie. 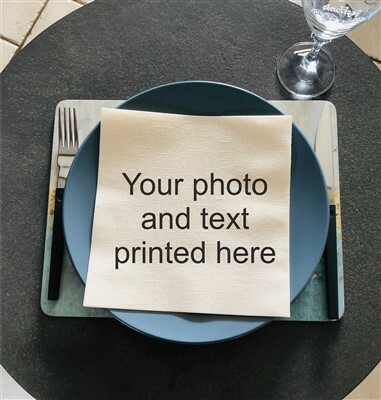 Deluxe dinner size (20cmx20cm) linen mix disposable cream napkins. Minimum order of 12. 1 image only. Napkins also available in white, side print style and cocktail style.